Nokie Pearl West, 95 of Morgantown, KY passed away Sunday January 20, 2019 at the Morgantown Care & Rehab. Nokie was born August 21, 1923 in Butler County, Kentucky to the late Luchen and Mabel Hawk Keown and wife of the late Gettie West. 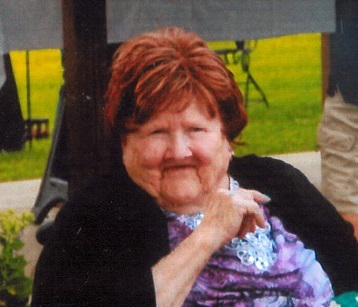 She was of the Apostolic faith and enjoyed gardening, crocheting, spending time with her family and fishing with her grandchildren. Other than her parents and husband she is preceded in death by one grandson Jeffrey West; one brother Jimmy Keown; four sisters Lois Bratcher, Dorothy Pendley, Glenadel Keown and Norma Jean Butler. Nokie Pearl West is survived by her children Daymon West, Duncan West (Jan), Roger West (Sherry), Iris Webster (Ronnie) and Rita Mudd (Lewis) all of Morgantown, KY; 14 grandchildren; 15 great grandchildren; 7 great great grandchildren; several step grandchildren; two brothers Luchen Keown Jr. (Judy) and Edward Jerome Keown all of Morgantown, KY; two sisters Joann Carter and Delah Luttrell all of Morgantown, KY; and several nieces and nephews.